Possibly; there's some room in the interpretation for it to be talking about cooperative EW (supported via some mechanism (data link or not) other than MADL) mind you. Last edited by spazsinbad on 16 Apr 2018, 04:03, edited 2 times in total. wrightwing wrote: There are a lot of other higher priorities. As is, the F-35 already exceeds the range of EFT/CFT equipped legacy aircraft. Upgraded engines will further increase the range/persistence advantages. Yeah that was my thought -- that they keep pushing back EFT's implies that they're confident the F-35 already has sufficient range/persistence for most missions and doesn't really need more. In regards to the Band 2/5, it could be dual-use of existing VHF comms antennas. Alternatively, remember back to the coolant line insulation issue; the JPO stated back then that they were okay with not having insulation on those lines at the time, because they wouldn't need that extra cooling capacity out at the wingtips until Block 4 (at which time they could make the modifications when doing other hardware mods for what would have been Block 4.2 or 4.4). Perhaps they're adding transmitter equipment to the existing ASQ-239 antennas. ...The self-protection system includes a response manager and RF/IR countermeasures. Two countermeasure dispensers are located in the aft area of the aircraft, carrying IR flares and chaff. The IR flares are relatively small, allowing more to be carried than was possible in predecessor aircraft...."
For the life of me I cannot find any mention of them in the budget. I was able to find tons of info on the towed decoy and the flares but no mention of F-35 Chaff. Besides, the info from BAE makes no mention of a chaff dispenser. I'm only going on what is provided above with many mentions of chaff without any references in other articles over the years. It is all a mystery to me because I do not know what "provides two payloads" means. I'm guessing that two chaff clouds may be dispensed from the single canister? It seems the chaff and flares are in the same box - whilst the chaff dispenser would be difficult to see in that box - flares seen more easily probably. Perhaps because the chaff & flares are in the same box it is counted as one item? Dunno. Yes, I also trend to agree with spazsinbad as well. For example the AN/ALE-47 Dispenser which is carried by several aircraft including the Hornet/Super Hornet can carry both Chaff and/or Flares. 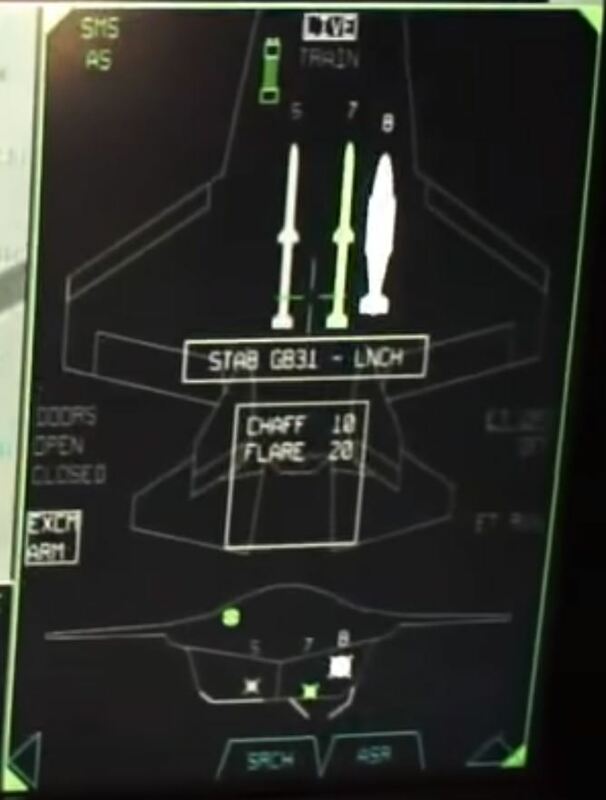 So, why can't the F-35 Countermeasure Dispensers which are most likely more advanced than the AN/ALE-47 be able to carry Chaff as well as Flares? I also believe that the images posted by Dragon029 are also very telling - They show a Chaff loadout in the LM official F-35 simulator. I just find it odd that there is no mention of them in the budget. I think that they were a feature that was planned to be used only if needed. Maybe the performance of the VLO signature, combined with EW & towed decoys convinced them that they were not needed. I'm assuming these are just software enablers of the existing HW. time they started buying ALE-70s. SpudmanWP wrote: I just find it odd that there is no mention of them in the budget. I think that they were a feature that was planned to be used only if needed. Maybe the performance of the VLO signature, combined with EW & towed decoys convinced them that they were not needed. Well, if you're telling me that operationally the F-35 wouldn't carry or rarely carry Chaffs because of the combination of reasons/features that you mentioned - VLO signature, EW and towed decoys - is enough against Radar threats/missiles well than I would agree with you. Even because if you put one Chaff into the Dispenser that means that the same dispenser will have to carry one less Flare and as far as I know Flares are the only IR countermeasures that the F-35 has so far, aren't they? So if you already have effective radar countermeasures than it could be better to operationally "stuff" the dispensers with a Flare loadout only. But then again, I can't see any reason for the F-35 not being able to carry Chaff if someone or some service wants them on the F-35. And I'm saying this right now and not in some future update. 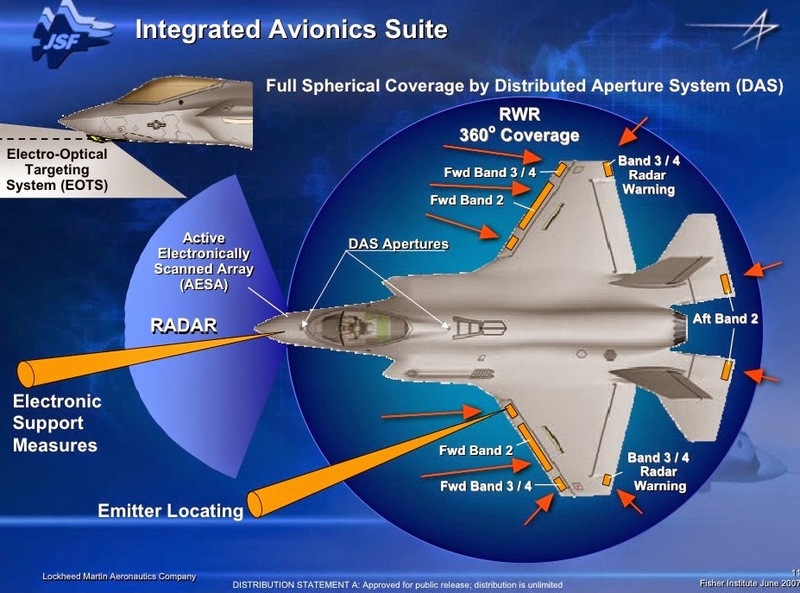 What about a scenario, rare as it's likely to occur, where for some reason a F-35 engages a bad guy WVR and chaff allows an extra measure of protection vs. RF missiles? This is weird. 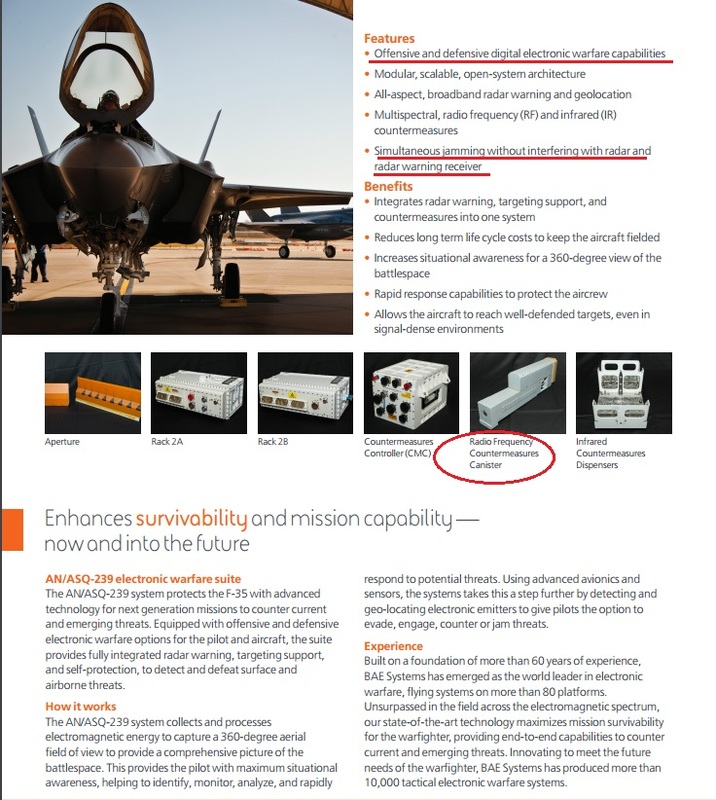 Evidence suggest 'Chaff & Flares' are carried simultaneously by the F-35 in the same box. So what is the problem again? Provide evidence that this is NOT the case and that the F-35 carries no chaff. Storm in a teacup methinks. the APG-81 AESA radar to provide a Stand-off RF jammer capability. 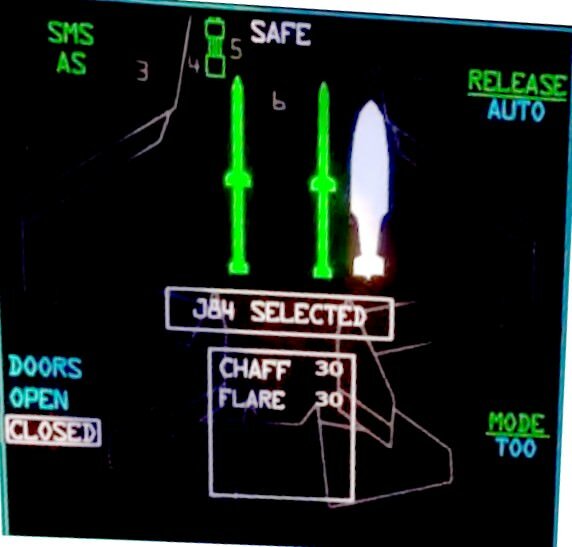 the AAQ-37 Defensive Aids Suite that provides a missile warner capability. Six IR sensors are distributed around the aircraft to provide a near spherical IR detection capability. the AN/ASQ-239 Barracuda Passive Radar System (PRS), developed by BAE Systems that provides sensor fusion of RF and IR tracking functions and includes data links that form part of the Northrop Grumman-developed Communications, Navigation and Intelligence (CNI) suite. The PRS provides basic radar warning, and multispectral countermeasures for self-defense against threat missiles, situational awareness and high-sensitivity electronic surveillance. Sensors are placed at 10 locations: on the wings' leading edges (6), trailing edges (2), and on the horizontal stabilizer's trailing edges (2). Future development of the EW suite is expected to address an integrated network and exploitation functions...."